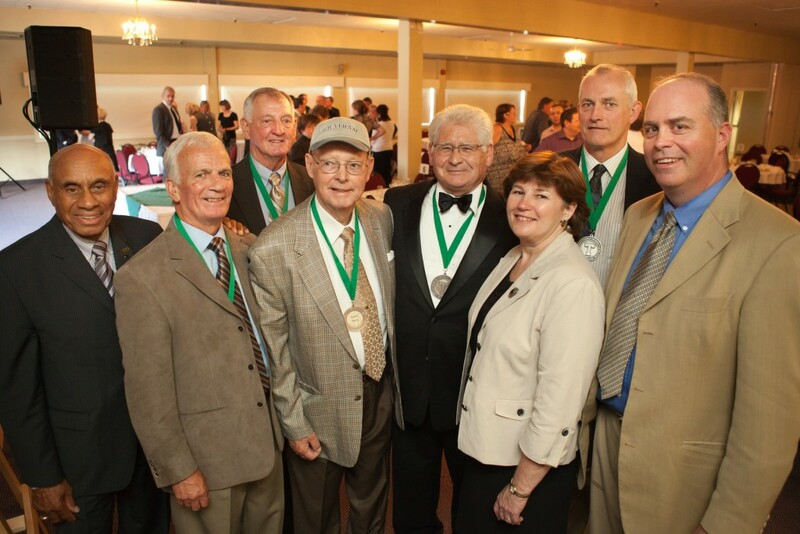 All-round athletes marked the second class of inductees into the St. Thomas University’s Sports Wall of Fame at the induction ceremony and luncheon on Sunday, July 3 at the Forest Hill Conference Centre. “Pat Barry, Jack Boyle, Ken Gould, Terry Gulliver, Jack Hall, and Keith Raymond were talented all-round athletes who represent the Tommie ideals of talent, versatility and achievement,” said Dennis Cochrane, St. Thomas University President and Vice Chancellor. “Their induction will be proud day for St. Thomas and a proud day for their families,” he said. “As role models, athletes inspire younger generations to play, practice, and perfect their athletic skills, and they remind us to follow our passions,” Mike Eagles, Athletics Director. “There is no question in my mind that these six inductees are true role models. They were role models when they played and they remain so today for a new generation of student athletes,” he added.